The Pioneer RB-DMX1 is a DMX interface that allows you to perform intuitive lighting patterns designed in rekordbox dj on all DMX512-supported lighting fixtures. Create and save multiple configurations in Lighting mode, then use the software converter to quickly interface your Windows or Mac to DMX fixtures from a wide variety of manufacturers. The software allows you to easily reconfigure the designs to suit the size of any venue or theme of the event. Light mode automatically generates illuminations created by an algorithm that detects the phrases in tracks or seamlessly customize the patterns to suit your preference. The robust and road-worthy aluminum chassis features extended edges to help protect the terminals. 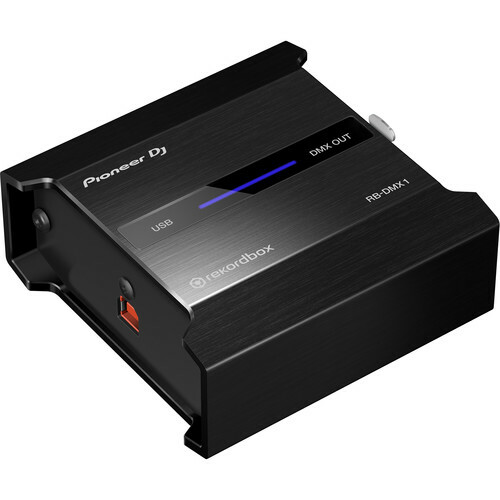 The Pioneer RB-DMX1 ships with a rekordbox dj license, a USB cord, and a power adapter. Box Dimensions (LxWxH) 7.65 x 5.6 x 2.4"
In how many days i will receive my product?